Keep up-to-date on the best web animation, motion design, and UX resources on the web! Subscribe for a weekly collection of curated tutorials and articles — plus advice on how to make web animation work for you. Written and curated by Val Head. Have a cool motion or web animation link? Submit a link here to have it featured in a future issue. The UI Animation Newsletter will use the information you provide on this form to be in touch with you via email with weekly issues and very occasional updates when needed. You can change your mind at any time by clicking the unsubscribe link in the footer of each issue or by replying to any newsletter email. Wondering what the UI Animation Newsletter is all about? The UI Animation Newsletter is cheerfully curated and maintained by Val Head. 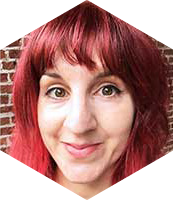 She’s the author of Designing Interface Animation and teaches CSS Animation on lynda.com.